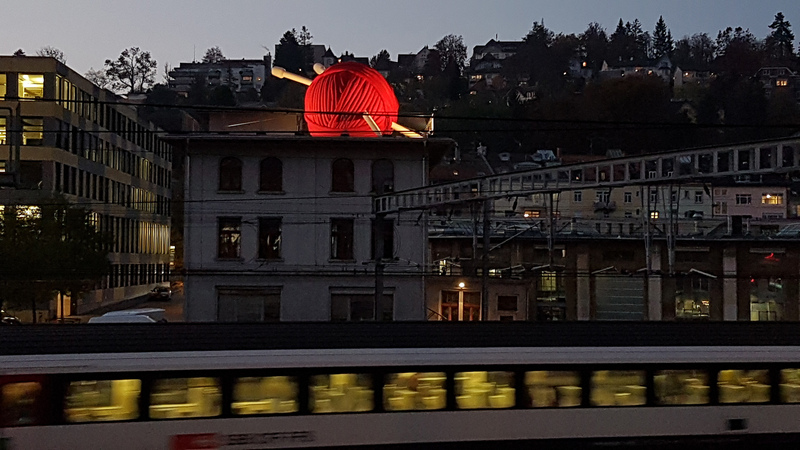 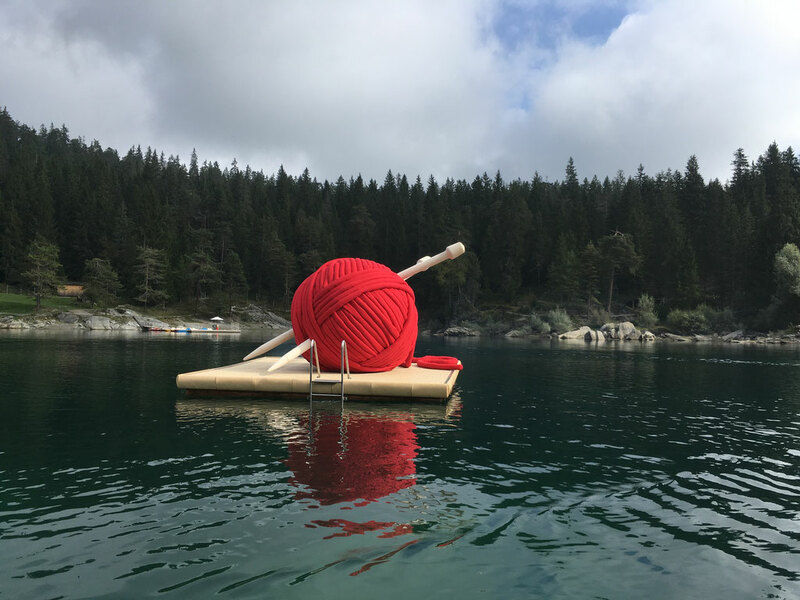 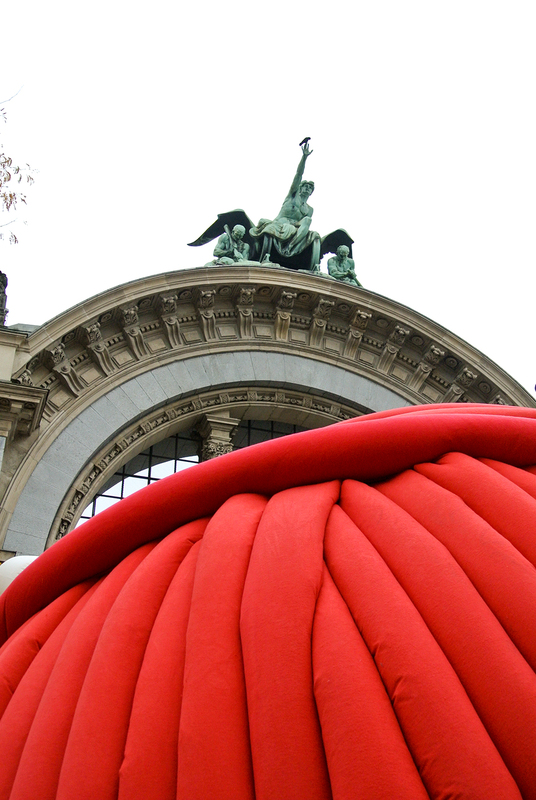 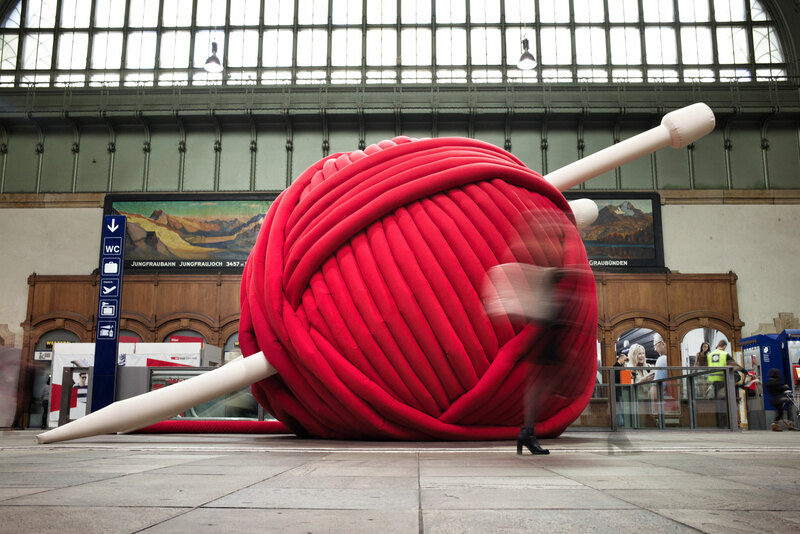 Four huge balls of wool were needed, which could be seen all over Switzerland for two weeks. 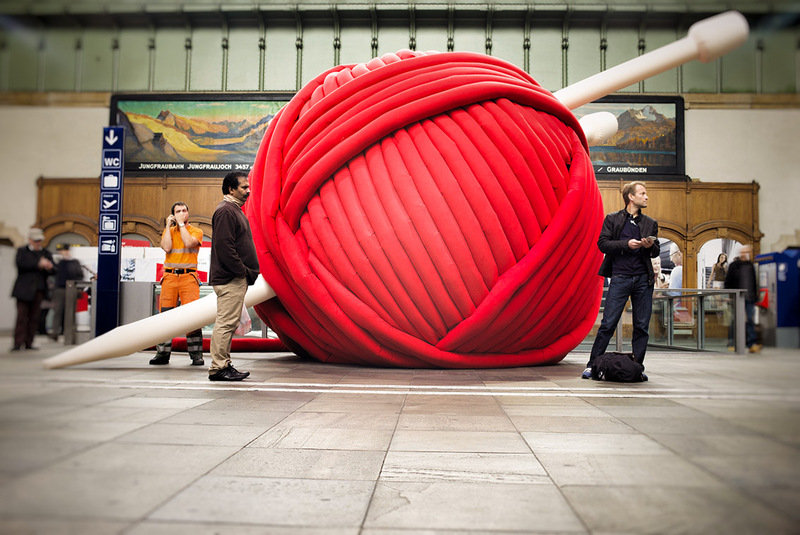 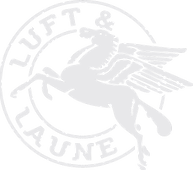 Since there were no giant wool balls in the world, Luft & Laune was contracted to manufacture them. 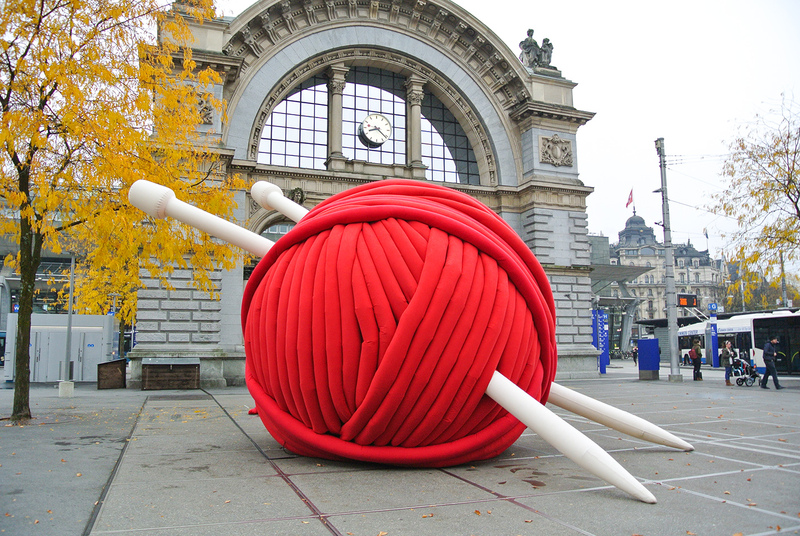 The balls of wool had to be robust, withstand wind and weather and all passers-by and still be woolly, fluffy and soft. In addition, the balls of wool also need giant needles. 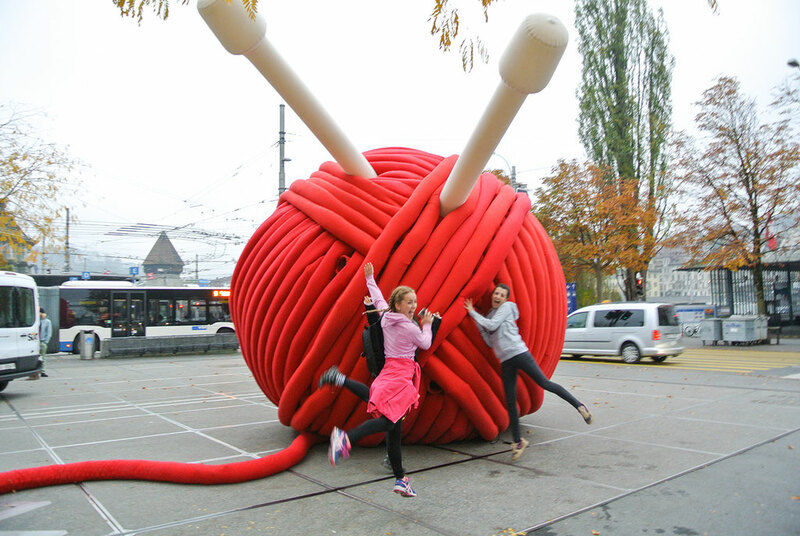 These were 9 meters long with the 4 meter big balls! 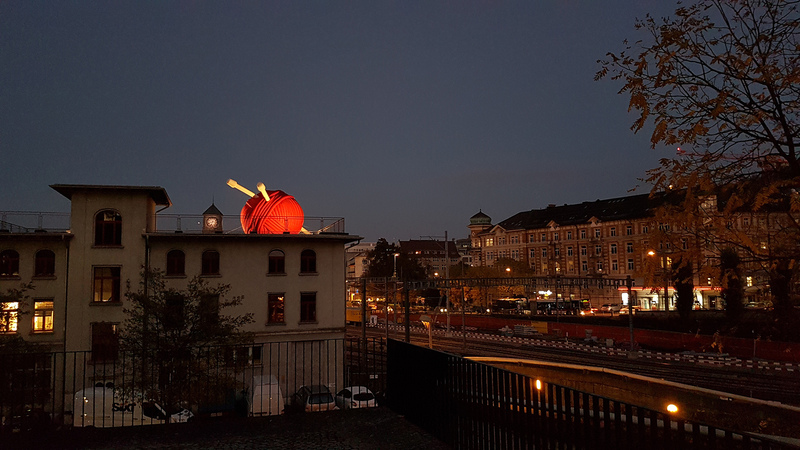 In addition, a ball had to be built in such a way that it could roll down the ski jump in Einsiedeln.